After the Falcons scored a touchdown on their opening drive, the Packers responded by missing a field goal, and things didn’t change so much from there. The 24-0 lead the Falcons took into the locker room was the largest deficit that Aaron Rodgers has ever faced at halftime. An already struggling defense was hurt more by the loss of defensive back Micah Hyde, sidelined with a shoulder injury in the second quarter, and while the Packers were able to make modest inroads on offense after that—with two touchdowns in the third quarter and another in the fourth—it was far too little and too late. 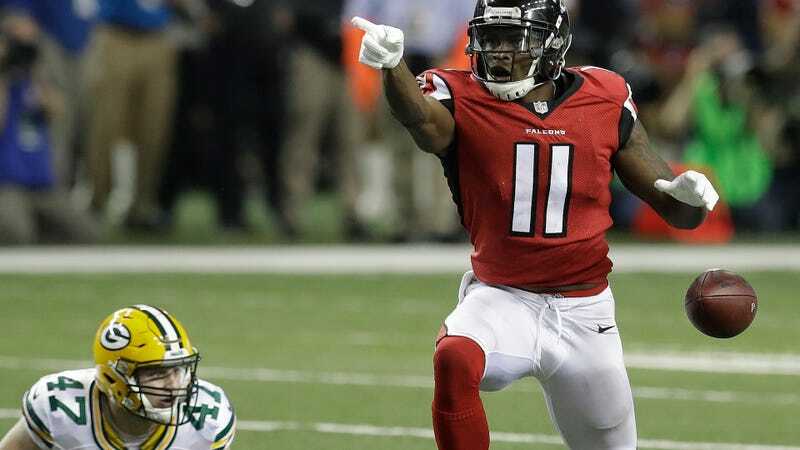 And Julio Jones put together a highlight reel, with 180 yards on nine catches—passing Larry Fitzgerald for the most playoff receiving yards per game in the Super Bowl era of any player with at least five games played. The Falcons took the 44-21 victory. Get ready for a lot of takes about the flu.